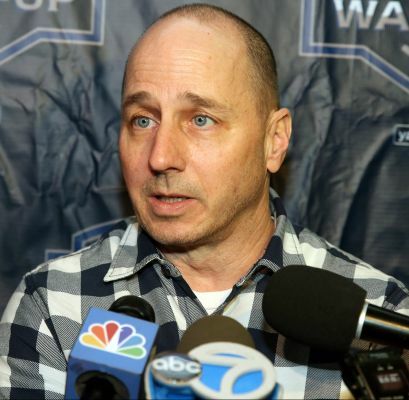 The New York Yankees enter this year’s trade deadline as careful buyers, as stated by general manager Brian Cashman. At just 3.5 games out of the AL East, the Yankees have been in the mix all season long in a year that might have been thought of as a rebuilding year entering 2017. However, the Yankees appear to be looking to make a postseason push, and with a couple holes on their roster, we will first take a look at what they can do to improve their infield at this year’s trade deadline. To begin, let's discuss what "careful buyers" means once again. The Yankees currently have a top-three farm system in all of baseball, with stud prospects like Gleyber Torres, Blake Rutherford, Jorge Mateo, Chance Adams, and others. 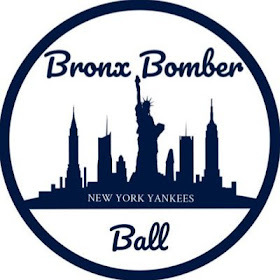 In addition to those in the minor leagues, they also have talented prospects who have recently made their debuts, such as Clint Frazier, Miguel Andujar, Tyler Wade, and Dustin Fowler before his injury. Due to the injuries to Fowler, Torres and James Kaprielian, the likelihood of them going anywhere is small, and the likelihood of many of these mentioned prospects going anywhere is also small. However, in some of these deals, it may be necessary to part ways with these prospects. While having a deep farm system is nice, prospects panning out is never guaranteed. And while you're in contention, Major League talent is more valuable than Minor League talent. There is a debate as to whether the Yankees truly will contend towards the end of this season, and the way they handle the deadline may determine that. But at the end of the day, the Yankees would like to keep most of their farm system in tact while upgrading where the price is right, so let's dive into that. It’s fairly obvious the the Yankees are set up the middle with Didi Gregorius and Starlin Castro. Castro was an All-Star this year despite his injury, and Gregorius nearly made the team on the final vote. Additionally, both are locked up for the foreseeable future, so there is not a need to upgrade a second base or shortstop. However, the problem lies with the corner infield positions. The Yankees did themselves and everyone else a huge favor in designated Chris Carter for assignment and releasing him just over a week ago. Unfortunately, despite releasing Carter, the Yankees production at first base has not gotten any better. Fill-in Ji-Man Choi has had some good moments in his few opportunities, but there’s no chance that he is a permanent solution to the Yankees’ first base conundrum. Additionally, Brian Cashman went out and made a solid trade with the Milwaukee Brewers in dealing left-handed reliever Tyler Webb for 26-year-old first baseman Garrett Cooper. Cooper made his Major League debut in Fenway facing some of the league’s toughest pitchers, but he struggled mightily in limited at-bats. The reality is, the Yankees do not have a good option at first base in their system at the current moment. There’s no telling when Greg Bird will be returning, and that injury has somewhat devastated the Yankees, despite the fact that he was not producing when he was on the field in April. And across the diamond has not been much better. The Yankees have stuck with Chase Headley all season at third base with non-impressive results. This season, Headley has hit .258/.342/.369 with a .712 OPS. He also has posted a WAR of just 0.5 with only four home runs at the dish. In the field, things haven’t been much better as he’s had 11 errors - the seventh most this season in the MLB - and a team-low .950 fielding percentage. Internally, the Yankees have Miguel Andujar, but they seem more intent on allowing him to develop before calling him up. They gave Tyler Wade a shot to make the club, and he struggled in limited at-bats before being sent down. With the injury to Gleyber Torres, the Yankees may be stuck with Headley this season at third, unless they look to the trade market to upgrade the corners. The Yankees have already been linked to several first and third basemen around the league, so let’s take a look at some of them. 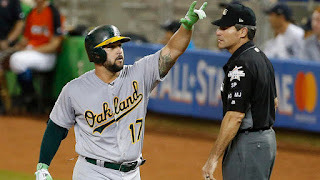 Athletics’ first baseman Yonder Alonso is a likely candidate to don pinstripes as the Yankees dive into the market for first baseman. Alonso’s only signed through the end of this season, so he is effectively a rental, but that does not mean he will be cheap. Alonso is having a career year in Oakland as he’s made his first career All-Star appearance with his power surge. To date, he’s hit .269/.368/.556 with 21 homers (his previous career high in home runs was seven), and he’s also hit 14 doubles and has 44 RBIs. For the A’s, trading the 30-year-old Alonso makes sense. 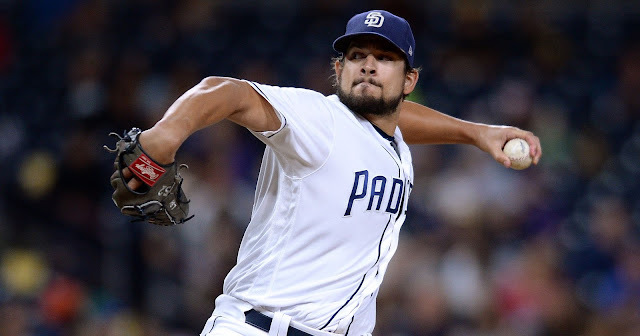 They are entering a rebuild as sellers, and this is the perfect opportunity to sell-high on a player who has not been an above-average Major Leaguer until this year. For the Yankees, a rental at first base makes sense. The Yankees still believe in Bird, and they assume he will be their everyday first baseman in 2018, even if he cannot return this season. With that in mind, Alonso is one of the many names to keep an eye on. Like Alonso, Mets first baseman Lucas Duda is a rental who is set to hit free agency at the end of this season. It’s unlikely that the Yankees and Mets would strike a deal but the Yankees would likely welcome the powerful left-handed bat at the trade deadline. And despite being cross-town rivals, they have been linked to him. This season, the 31-year-old is hitting .243/.353/.532 with 15 homers, 33 RBIs, and 18 doubles in 65 games. The Yankees have already been linked to Matt Adams, and this is another deal that makes sense for both clubs. The Braves would like to make Freddie Freeman their full time first baseman again (as opposed to third base) and the Yankees have this black hole at first base. In 77 games, the 28-year-old Adams has been very good with a .291/.336/.564 line with 15 dingers, 43 RBIs, and 15 doubles. He’s under team control through 2018, so this is another move the Yankees may look to pull off. While Bour is the opposite of the guys already mentioned, he may be the most likely player to be acquired by Cashman at the deadline. The Yankees have significant interest in Bour, and he is not set to hit free agency until 2021. Despite being under control through 2021, Bour also profiles as a designated hitter, so the Yankees could still play Bour and Bird simultaneously in the years to come. 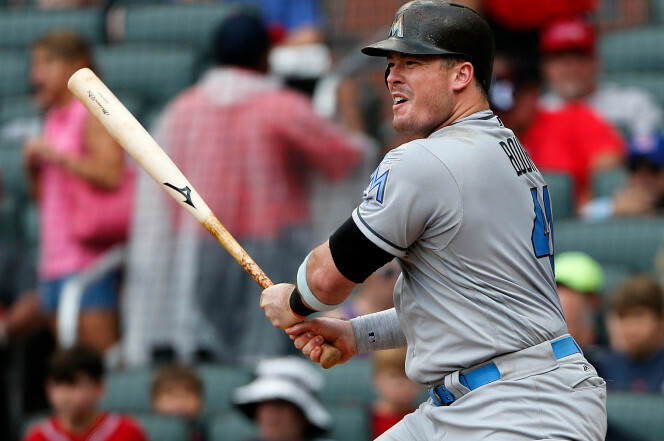 Bour, 29, is also putting together a breakout year with a .287/.363/.552 line with a .915 OPS. He’s displayed a ton of power in Miami as well with 20 bombs, 61 RBIs, and 14 doubles. We all saw the pop that Bour put on display in the Home Run Derby when he made it very tough on Aaron Judge, and his bat could be a huge addition to the Yankee lineup. The final first baseman we will preview is surely the most unlikely for the Yankees in Eric Hosmer. The 27-year-old first baseman is another rental as he’s due to become a free agent at the end of this season, and with his full body of work, he may be the most expensive option on the market. Moreover, the Royals aren’t likely to be seller, despite their .500 record unless they are blown away. 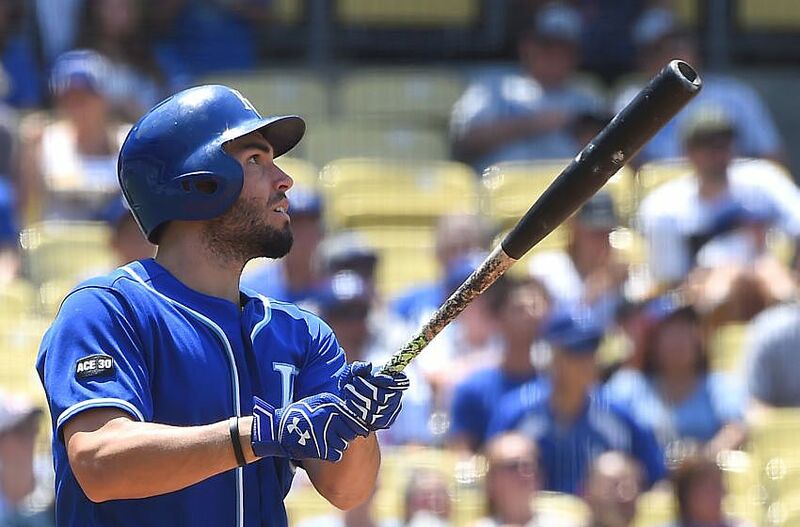 Nevertheless, Hosmer has had a very solid year with a .311/.368/.480 line with 11 homers, 42 RBIs, and 20 doubles. He seems like he’d be a great fit with the Yankees, but the odds of this deal getting done are very small. As we shift to third basemen, we will first look at a guy the Red Sox and Yankees are in on. However, it looks as though Frazier will be heading to Beantown at the deadline. 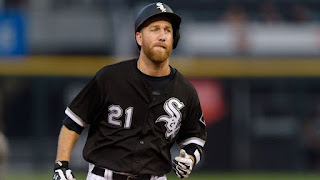 Still, the Yankees could make a push for Frazier due to his ability to play both first and third base. Frazier, 31, has an unimpressive .207/.328/.432 slash line, but he still has plenty of pop with 15 homers this season, and 40 last year. The Yankees have been linked a number of former Yankees who they may look to reunite with at this year’s trade deadline, and Martin Prado is one of them. Prado was acquired at the 2014 trade deadline by the Yankees and performed very well before being dealt in the deal that brought Nathan Eovaldi to New York that offseason. 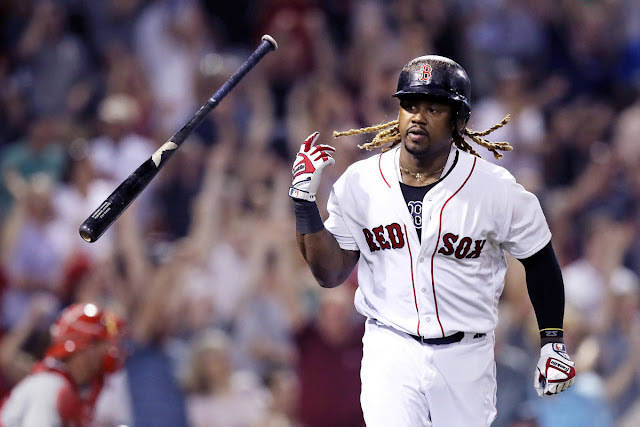 The 33-year-old veteran is hitting .254/.283/.362 with two homers, nine doubles, and 12 RBIs in 37 games this year, where he was limited early with a hamstring injury. Prado would be a cheap option, and the Marlins would likely have to eat some of the money he is owed. He is signed through 2019 where he is set to make $13.5 million in 2018 and $15 million in 2019. The final player we will take a look at is ironically the player who was traded for Chase Headley. Now, it’s unlikely that the Yankees would acquire Solarte to replace Headley, but he is one of the many players the Padres have been shopping. Solarte has hit .268/.349/.425 with 10 homers, 40 RBIs, and 10 doubles this season. Solarte, 30, inked a two-year deal worth $7.5 million before this year with two club options for 2019 and 2020. That kind of flexibility makes him an intriguing option on the trade market, but it’s unlikely he returns to the Bronx. It goes without being said that the Yankees are more likely to bring on a first baseman than a third baseman. It plays to their benefit that they are one of the only contenders searching for first baseman/DH type players, and the odds of them upgrading at that position are pretty high. Those odds are even higher if Bird is unable to come back this season. From the list of players in this article, the most likely options are Alonso or Bour. It's difficult to see a scenario where one of them is not a Yankee on August 1st, unless the asking price is too high. They’re also likely to upgrade in the bullpen as they have the depth in their farm system to pull off a couple of deals while keeping their top prospects.